The third key for greater fulfillment is right timing. I’ll quickly take you through 2017. Some of these dates may affect you profoundly or not so much, depending on your individual horoscope. For those of you who want the direct benefits of hands-on timing, I will say that it behooves you to consider working with me in a personal capacity. January 28 was the Aquarius New Moon. 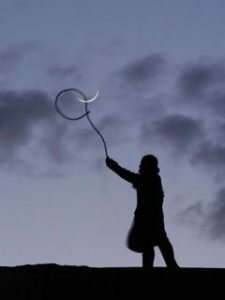 Each New Moon has a particular theme based on the areas of life its sign represents and the unique planetary configurations that change day to day. For how to make the most out of any New Moon …. At the Full Moon, you are offered the opportunity to fulfill a goal. When the Moon is waxing from New to Full, the energetic thrust works with you to realize an intention. After the Full Moon and to the next New Moon, the moon is waning and follow-through, completion and dissolution is supported. You can start something in a waning moon cycle, but it is best to choose a good day to do it. On February 10 and 26 there are eclipses with a great deal of volatility. Eclipses are trigger points in general, but with a president who was born at an eclipse, it emphasizes lightning rod possibilities. The first Eclipse on Feb 10 occurs with the Leo Full Moon; because of the position of President Trump’s Mars, this could indicate a volatile time for the USA, both in the news and with other nations. 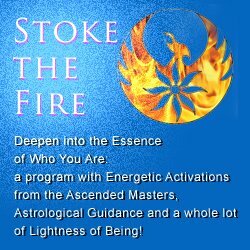 For the rest of us, the eclipse gives a flash of awareness as to how your personal expression is accepted within the collective. If you are not being heard the way you would like, this is an opportunity to see what has to shift to make that difference. The second February eclipse on the 26th at the Pisces New Moon offers the chance to massage the message; Pisces communicates on channels other than simply verbal. Although there may be an assertive thrust that seems to declare one thing, another message can be transmitted. There is a Mars/Uranus configuration that makes this eclipse extremely volatile. Definitely put an intention for more peace in your New Moon work. Honestly part of the volatility may reflect in aggression within the US, especially divisions within its citizens, certainly healthcare, BLM and fossil fuels are part of this. The UK also seems up for some sort of upset. For yourself, the intention of showing up matters. For instance, in the next couple of weeks, go to an event that puts you with the people, cause or industry you want to join. Even if you don’t see immediate success, you want to believe it’s in the state of becoming. Your intention matters and the results will eventually be seen. Rather than going into every Full Moon, I will highlight the New because they start the lunar cycle. Full Moons have significance, but in lieu of time I’d rather focus on planetary events with the biggest impact. Although we certainly feel this before its exact configuration, Jupiter opposes Uranus on March 2nd. Since these planets are named after two sky gods, we may experience a weather event or something that involves devices that move through the heavens. Personally, the negative could be something disruptive and the positive outcome, greater knowledge for inspired heights of achievement. The best way to focus this is to integrate revelations as a source of wisdom, regardless of how chaotic they may initially appear. This configuration is with us through September 28, the last time it’s exact. For continuity I now mention that on March 30 Jupiter is at 90° Pluto, a square. So this is actually a bigger planetary picture, involving Jupiter, Uranus and Pluto that has been with us since 2016. Jupiter, which symbolizes the god of justice and knowledge has brought together that great square of 2008-2012 between Uranus and Pluto. We have an opportunity to see this with greater clarity through Jupiter in Libra’s retrograde journey. Libra is a sign related to Venus so a balance of power and diplomacy helps to meld these seemingly irreconcilable forces. If you are concerned about the greater world, the best thing you can do at this time is to continue to seek justice, don’t be afraid to look in the dark crevices and work within community. Neptune Rising set for Washington DC at the March 20 Spring Equinox is significant because astrologers see the Beginning of the Aries cycle as the real New Year – our New Year begins when from Earth’s perspective the Sun returns to 0° Aries along the ecliptic. 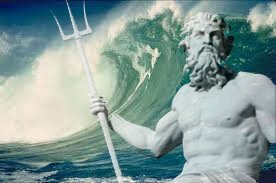 Neptune, the ancient god of the sea- reminds us that our planet is mainly water, our bodies are mainly water. Neptune symbolizes the vast unknowable void and the indefinable way that we are all connected. Carl Jung dubbed that connection, the Universal Unconscious. Neptune also directly calls our attention to water and its variables: weather calamities, especially drought and flooding as well as our need for pure water. Neptune symbolizes deception as well as its opposite, which is what we know to be true in our hearts— the “trust your gut”. When someone perceives truth from an angry place, however, it is useful to quiet down to the stillness void of anger. Only then does clarity come. Anger may be justified, but it is far more effective when the cloudiness of all the other feelings are distilled. This Aries Ingress certainly suggests a ramping up of what was initiated with earlier lunations. It’s also significant that Mars is in Taurus in this horoscope, because Mars is the planet linked to Aries. Mars however makes no geometric aspects to any other planet, so it suggests a lot of fury with no direct impact. Since Mars also is in the 2nd house of Money, and both Venus and Mars are retrograde, this is not a time for big financial policies to be made. This colors the year. Taurus is a sign that relates to Venus and Venus is in Aries so they are said to be in mutual reception. This actually gives Mars a boost, but it seems to come from the growing Fabulous Feminine, since the yin/yang energy works collaboratively. Venus is retrograde, so we can expect to see more action to come once it goes Direct in April. The March 27 Aries New Moon on the heels of the Spring Equinox seems to stoke the influence of Venus on where you take your efforts – does it mirror your innermost values? What are you willing to fight for? Back to making a difference, use this lunar month to tap into your power – eat foods that reinforce health, implement or maintain an exercise program that works with your life. When your brain and heart gets the oxygen and nutrients you need, you are better equipped to move in the direction you’d like. On April 9, Mercury goes retrograde. The planet Mercury symbolizes the messenger: communications and transit; for better or worse, our high-tech lives function on rote responses to technology and dependence on electronics. When retrograde, do not assume that messages are received, appointments clear or directions dependable. Double check appointments, directions and back-up files! Mercury retrograde is the most famous backward journey, probably because Mercury goes retrograde 3-4 x a year. Yet all retrogrades have their positive side and in Mercury’s case: review, edit, re-work and read! As I mentioned, Venus goes Direct on April 15. Expect much ado about tax breaks this Tax Day. Long-range implications bubble forth as the year continues. June may be particularly telling. Now that Venus is Direct, you can certainly take more action with Venusian activities: home design, makeover, money management – but avoid any big purchases or investments until Jupiter Direct in June. Pluto Retrograde on April 20 begins a long journey when secrets tend to go even deeper underground. This can be a good time for therapy and introspection, depending on what’s going on in your life. The April 26 Taurus New Moon indicates great tension in finances; avoid speculation or sudden reactions to events. Plan with care and sit tight. You may want to redesign or invest so map it out for now. April 29 marks the 100th Day of President Trump in office. Sure to be a tense day astrologically – it indicates that he won’t be feeling the love which tends to make him more combative. The Mercury Retrograde only increases the conflicting spin. Mercury goes Direct on May 3 — sometimes there’s a bit of imbalance when Mercury first goes Direct; be hyper-alert and attentive.